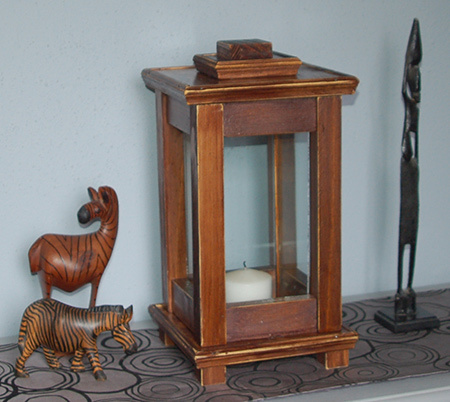 Our wooden lanterns can be used to decorate your home, or add a unique touch to weddings or special occasions. Available in 3 sizes. 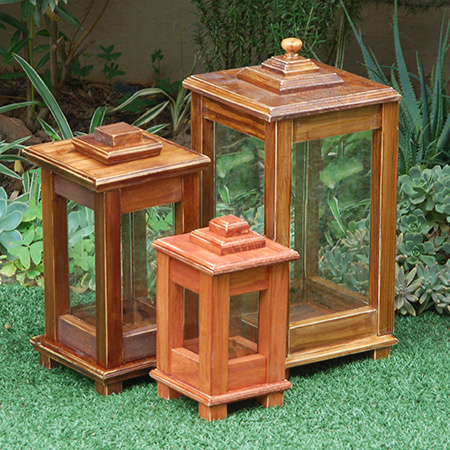 Manufactured using pine, use our Wooden Lanterns to add a special touch to your outdoor entertaining or special event. They are also perfect for indoor decoration. Excludes candles. Finished in your choice of teak or imbuia stain with exterior sealer.